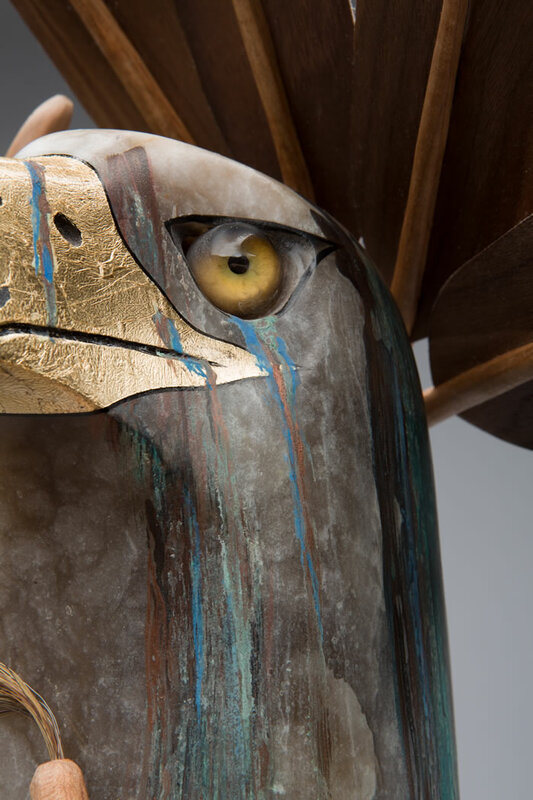 75" x 18" x 18"
The Alabaster Eagle bust is accentuated with multi-colored patina. 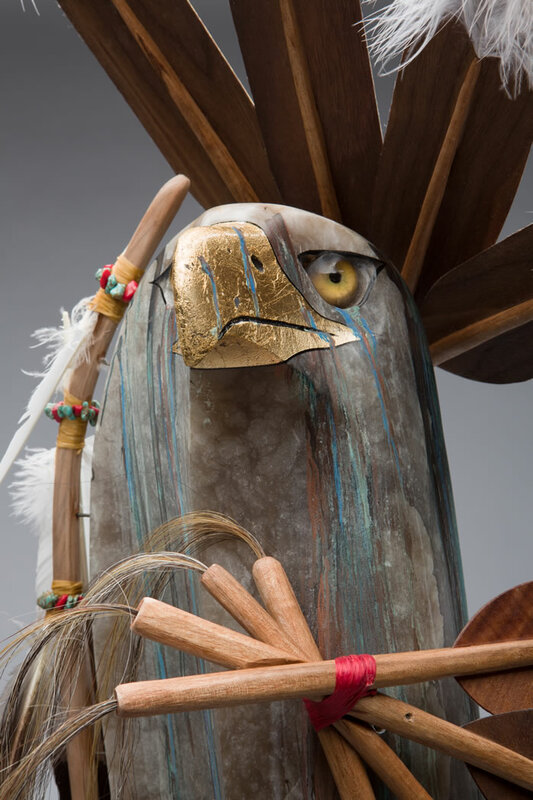 The Eagle represents the elder keeping an eye over all the spirits of the Indian nations. 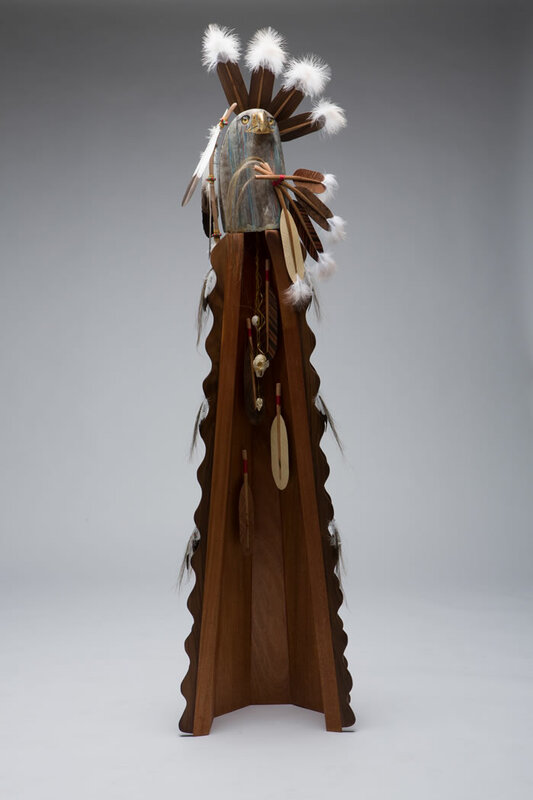 He’s perched upon a teepee adorn with feathers from the four corners of the different nations. ONE OF A KIND. NEVER DUPLICATED. Les' inspiration comes from his love of nature and his many travels to the desert southwest where he loses himself in the landscapes, rich in color and form. He is driven to express that which comes from his spirit, heart and soul by giving life to his sculptures. It is his hope that his pieces will evoke an emotional response, making them special and meaningful to the individual viewer. To be informed about new art productions and have the opportunity to purchase before pieces go to a gallery, please leave us your email.